How did we let it happen? How did we allow financial technologies like PayPal, Apple Pay, Square and WealthFront to be invented by non-financial service companies? I mean really!? How did we let this happen? Isn’t that what we do? Aren’t these technologies “financial services” and shouldn’t we be the inventors of any and all new financial services? We have the human talent and the deep pockets to do it so why didn't we? Shouldn't these technologies be products thatBank of America, JP Morgan Chase or Citigroup built in their own innovation labs and now have sitting on their branded product shelves? And, more importantly, what new financial services innovations are we already late to the party on? Is it possible that we – as an industry – lack vision at the leadership level and that our focus on quarterly performance keeps us from looking far enough into the future? I hate to say this but I am pretty sure executives at FinTech start ups all over the world are - pardon the pun - banking on it. Vision: noun – The act or power of envisioning/anticipating what things or events may come to be. The ability to envision the future and predict what may work or come to be in the future. Being a Vision Leader has a lot to do with having an opinion or theory about what the future of your business might be. Leaders who have the ability to envision how their business, markets, clients, products and competitors might change will always have influence with their team members and peers. Of course, their vision must be well thought out and well articulated if they are to create a loyal and sustainable following. One incredibly important element of success is derived from the leader’s ability to anticipate what may happen in the future while simultaneously leading through the present. Those who have a vision can have a substantial head start on the competition and will likely stay one step ahead along the way. Those who lack vision are more likely to spend their time playing catch up or reacting to their competitors than they are to have an early and ongoing lead. As a result, it is important to remember that many successful Vision Leaders are also fast followers and are expert at reacting to the changes they did not anticipate themselves. Team members who have worked with Vision Leaders have indicated that they consider vision to be a knowledge-and charisma-driven quality. As a result, they consider the Vision Leader to be more than just someone working as a member of the team. Rather, they view this person as someone who sets the tone and direction for the future of the team. Vision Leaders have the ability to paint a clear picture of what they believe a better future approach will be, or how they think things will change. This ability tends to be a very powerful and attractive quality for members of the team. They view leading with a vision as a key reason for their willingness to support the leader and follow them forward. For them, it is one thing for someone to say, “Follow me because I know what I’m doing,” and another to say, “Follow me and here is exactly where I think we are going.” It is the leader’s ability to articulate a new destination and something specific to work toward that separates them from the rest of the pack. It is their ability to paint a picture of a better place or a better way that creates interest and intrigue among their constituents. They are also able to provide ample warning and caution around potential challenges and/or danger ahead that keeps their followers drawn to their role as leader. Of course, their predictions and prognostications will eventually need to “prove” their vision if they are to maintain their status as a credible Vision Leader. As previously mentioned, a key point of caution for the Vision Leader revolves around the need to remain cautious and realistic about the images they create. 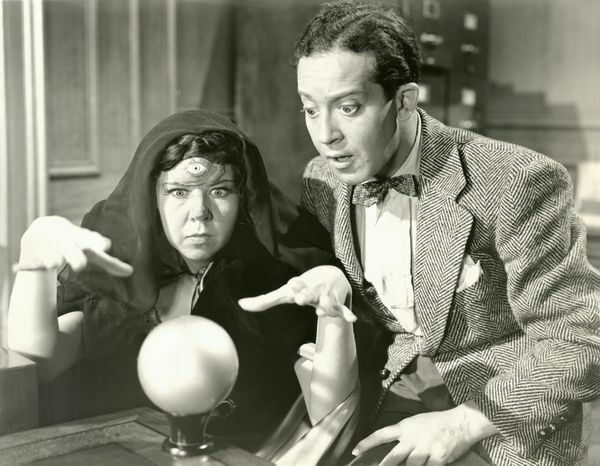 It is not uncommon for people to get carried away when making predictions about the future. This tends to happen because those who are thinking about the future or envisioning the future fail to take their analysis to a more granular and realistic level by examining all of the challenges that could slow progress along the way. A true Vision Leader continuously points out all that could go right or wrong along the way, which further reinforces their status with their team. Ultimately, it is important for the Vision Leader to avoid a strict stance when communicating their vision to others. Instead, they must focus on what will most likely happen versus guaranteeing what will come to be. This careful approach will develop an even higher level of credibility as team members will recognize that their leader is not suggesting that he/she knows everything; rather they are suggesting they have thought through what could possibly happen and have created a “destination” for the team, the industry, the product, the competition, etc. To achieve leader status, you must be able to convince others, create buy-in, and establish an enthusiastic following. Like the Ethos and Knowledge Leaders, the Vision Leader must lead through verbal communication and practical action so that his/her team can see and hear the vision. Ideas and theories that are stored in your head are certainly attributes you possess, but to lead, you must create buy-in among your constituents, and that requires communication, discussion, and action. Finally, it is critical for the Vision Leader to be open to the idea of citing other experts when articulating their vision. Unfortunately, many managers prefer to position themselves as the visionary instead of simply just another visionary. The difference may appear subtle but the distinction is critically important. The leader who is willing to cite other thinkers as an influence and who do not attempt to take all of the credit for a vision of the future will tend to have an easier time developing credibility for their ideas. Third-party input and validation can be an essential ingredient for creating a following. Leaders will have an easier time demonstrating that they are open to input and feedback from other experts and/or team members. Their willingness to share the spotlight shows that they are concerned solely with what the future will bring and not how smart they appear to be to others. There is a real and important difference between guessing what will work or what the future will bring and truly analyzing where you have been, where you are, what factors are affecting change, and where you might be going. The Vision Leader is expert at this type of analysis. One negative approach to avoid for the Vision Leader is to engage in sensationalist guessing with a focus on being the “cool visionary.” Guessing is gambling but analysis and calculation is a science, and science tends to be much more reliable when trying to anticipate what will happen in the future. Vision Leaders have pointed out that it is important to proceed with caution and to always carefully analyze all the factors. Jobs’ own lucid and careful contemplation of the music industry is apparent in a 2003 interview he gave to Rolling Stone Magazine’s Jeff Goodell. My colleague Tom Krazit pointed me to the story after stumbling on to it recently. We were bowled over by the preciseness of Jobs’ assessment of what the future held for digital rights management, music subscription services, the four largest recording companies, and Apple. The interview in retrospect is a fascinating read. Philosophy: True leaders are always thinking about the future. It is important for a leader to anticipate changes and communicate a vision for the future if they are to create a following. Mistakes to Avoid: The biggest mistake you can make is turning the visioning process into a guessing game. Brainstorming is one thing, but guessing can be incredibly dangerous because you are going to be on the record with your predictions. Best Practices: Do your homework and review other predictions from other experts. Engage your team in the process and be sure to communicate your vision when the time is right. Last but not least, let your team see action supporting the realization of the vision. When you act and lead by example, your team is much more likely to follow along. If I wanted to disrupt my own industry what would I do to make that happen? What do the ghosts of my business past, present, and future have to say? What innovations from our competition would worry us the most? In what areas are we becoming complacent or what outdated assumptions do we hold? What are the two or three biggest changes we might see over the next one, five, ten or 25 years? What do I need to do to take our business into the future? How are our consumers, team members, and competitors changing? When is the last time I asked my team what they see coming? How will technology change our situation? If we started from scratch today, what would we be doing to plan for the future? How effectively have I communicated our vision and my vision for the future?